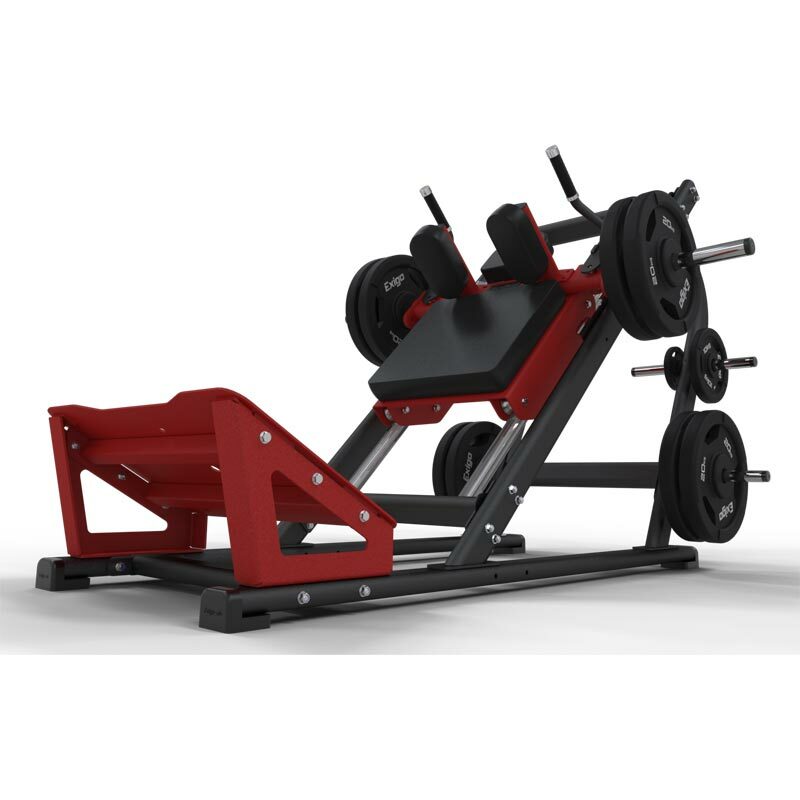 The Exigo 45 Degree Hack Squat machine is the ultimate in Quad Training. High quality 40mm linear bearings and chromed bar create a smooth, quiet operation. Variable start positions to suit any size user. Olympic Weight horns fitted as standard for optimum storage capacity. Large anti slip foot plate allows for varying exercises to be performed. L2209mm x W1780mm x H1520mm.